Using the same software as the acclaimed SEAMetal HD for double seam measurements, the SEAMetal SD double seam scope is the perfect tool for companies that don’t require the high resolution capabilities of the High Definition version. The SEAMetal SD system is the latest version of our SEAMetal 9000 seam scope, the most widely used seam inspection system in the world, with over 1,000 units installed. SEAMetal 9000 was also the world’s first automatic seam inspection system, introduced in 1993. Destructive double seam measurements are critical to ensure that the can is closed properly, meaning it will not leak or be exposed to harmful pollutants and contaminants. For this purpose sampling of cans using an optical double seam visual inspection is necessary. SEAMetal SD is a low cost, high quality, repeatable and flexible can measurement solution to your double seam requirements. It is easy to learn and master and it holds the highest GR&R (repeatability and reproducability) ratings in the industry, in trials held by customers and independent third parties. 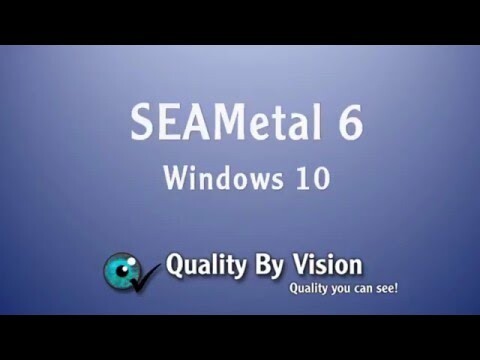 The latest verison of SEAMetal SD offers features like microsoft Excel integration, zoom in, automatic email alerts, network connectivity, Windows 10 support, a new SPC system and a new reporting system. You can now see the image better and get a more accurate measurement than ever before, all for a competitive price.